It's freezing cold (damn it!!) but it's been an interesting and busy week at the studio. 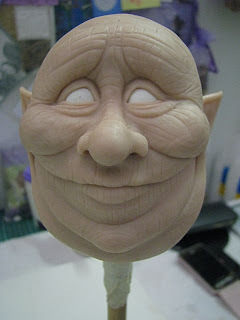 While I was VERY keen at the start of the week to get straight into sculpting 'spider girl', I decided to first re-work the 'fat faerie' head as the eyes have been bothering me for weeks. I needed a softer expression for what I've decided to do with her, so have made the eyes smaller and added a network of wrinkles and lines.....I've since finished building this piece, but haven't taken photos yet. Next post, hopefully. 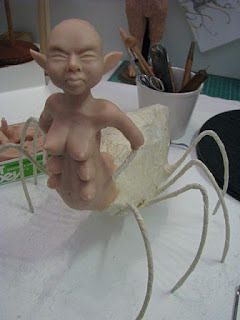 With another piece built and ready for painting and costuming I moved onto tackling the armature for the spider girl sculpture. I drew out my idea of what she should look like and then tried to visualize an internal support structure that would not only hold the weight of the clay, but also allow for any changes I might decide to make along the way. You can't really tell from the photo because the whole thing is wrapped in masking tape, but the armature is very sturdy with the legs acting as a kind of cradle for the torso and spider body. 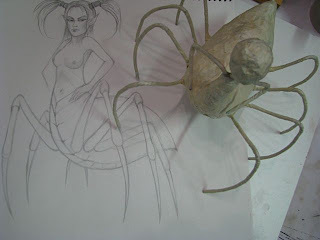 The final spider legs will be longer than the armature so the whole thing will sit up higher.....at this stage, the most important thing regarding the look of the piece is that the legs remain quite spindly and delicate looking, but not in a 'pretty' way.....I want her to look elegant but dangerous at the same time. As you can see, I've already started to make changes from the original drawing by giving her multiple breasts.....at this stage I like the idea, but we'll see what happens as the sculpture progresses. 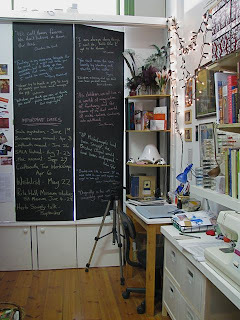 So, all in all a good, productive week despite the cold weather.....I've strung some fairy lights in the studio for cheer and covered my blackboard with interesting quotes from interesting people. With luck it may just be enough to stop me from hibernating under a blanket (or several) for the next few months. Brrrrrrrrr!!!!!!! She is super. You have a great idea there. Spider girl is wicked. Can't wait to see the finished piece. 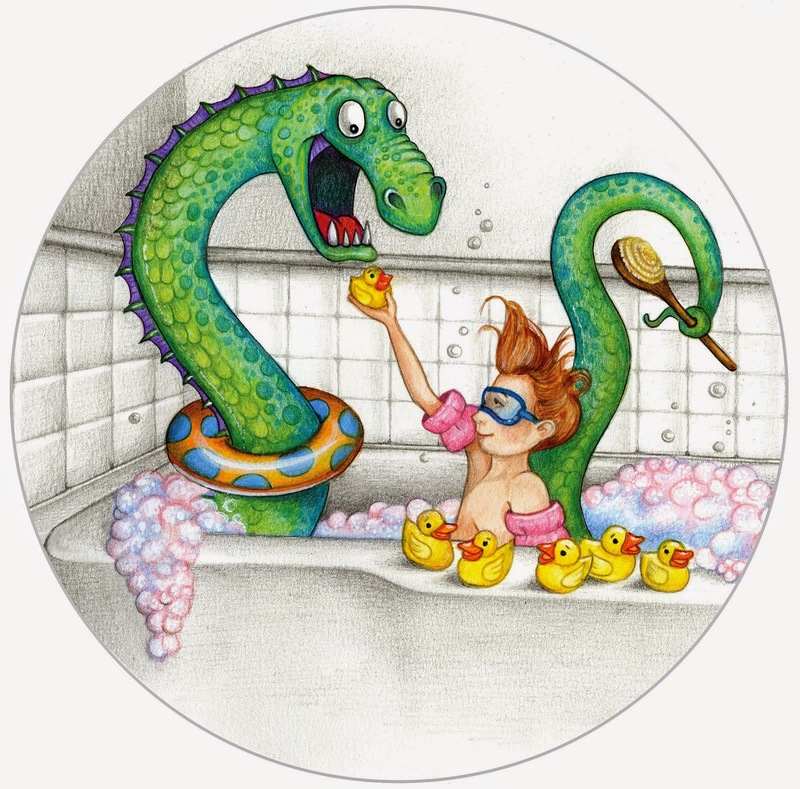 You make the coolest stuff, Lorell! Ohh your work is SO awesome!! I love it! 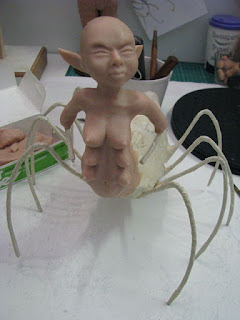 Can't wait to see your spider girl when she is done! Waay cool!! Happy Mothers' Day Lorell. It certainly is cooling down though not quite as cold as SA I dare say. Spider girl looks interesting. Can't wait to see all these works in progress once they are finished. They all have me smiling. The spider girl is very creative! Can't wait to see her finished.